At Windows Only, nothing is more important to us than our customers satisfaction. 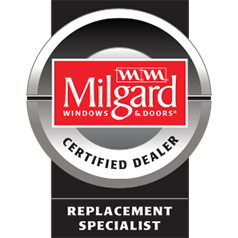 We strive to make your window replacement experience as pleasant as possible. From the initial price quote all the way through the installation process, we will keep you informed every step of the way. Read what a few of our past customers have to say about us. Rod Smith provided the estimate (he was in and out within an hour). "Now the house is more comfortable than it's ever been. Our windows and doors look great." "Fantastic! From start to finish, Windows Only was great." "Very impressed. No pressure from the beginning." "They did a very good job. They did the replacement of all of the windows in 2 days. When we called them to schedule they were very accommodating to our scheduling needs." "I had a quote done several years ago and finally had the funds available to do the project. They had my quote on record and were easily able to provide a new quote." "Quick, professional, low pressure, knowledgeable staff worked with me and my wife to plan what windows, doors and patio doors best fit our circumstances and budget." "After hours with other sales people we were the most impressed with him (Glenn) and how he worked to meet our needs, answer questions and give honest and direct answers." Glenn Halvorson was the person who came out to give the initial bid and was the contact person throughout the process. He was punctual, professional, and was very service oriented in general. The bid was very competitive with other companies and considering that they provided removal of old windows, taking down and putting back blinds, I would say that they gave the best bid. I appreciated that they delivered the trim wood in advance of the window installation so that I could paint the casings myself and save some money. They were great about calling us to tell us when the wood was going to be delivered, the windows, the installation guys, etc. Always on time. Windows were installed in a timely way and looked great. Brandon provided us with the completed paperwork in order to get rebates from Milgard and Energy Trust. I recommended Windows Only to my next door neighbor and they too were very happy with the job that was done by the company on their windows. "Fantastic! From start to finish, Windows Only was great. The sales rep (Rod) was very knowledgeable, did not pressure me at all, and was very responsive to my requests to change details about what I was going to order and adjust the price accordingly. I ended up choosing a combination of fiberglass and vinyl for the windows. After I placed the order, the installation was only about 5 weeks off, which was faster than other contractors I met with. They also were the lowest cost. The scheduler was good about keeping me in the loop about the status of my order/install, and promptly sent over information I needed to get the rebate from the Energy Trust. The people who did the installation were fantastic. They did almost the entire job in one day; had to come back the second day to install the new window. And the windows look great! I couldn't be more pleased." "We investigated several types of windows and got bids from approximately 5 companies. We were concerned with type of installation, quality of window, warranty and references of the company we chose. Glenn from Windows only was our first sales rep. After hours with other sales people we were the most impressed with him and how he worked to meet our needs, answer questions and give honest and direct answers. We were impressed with the reports from Angies list and that helped us choose them over our second choice company. The installers were efficient and neat and friendly. After completion I decided that I did not like the window I picked for our dining room. (Glenn had told me that it would have a very thick part separating the upper picture window from the bottom half slider). I did not like it from the inside looking out as it really blocked my view of driveway and yard. I acknowledged that I made a bad choice even though he had described it correctly. Windows Only and Glenn worked to get the window replaced with a window I now like very much at a fair price and gave us options on selling or donating the first window." Very impressed. No pressure from the beginning. Thoughtful and understanding of our options. Even suggested some improvements we hadn't thought of. They were about 3 weeks out from installation. Installing 8 windows took about 5-6 hours. I was amazed. Everything was sealed up nice and tight, and explained very clearly on the walk through at the end. Top rate.